A guy in Nebraska, U.S, claims to have kept a McDonald’s meal for five years without it changing a bit, reports Omaha.com. 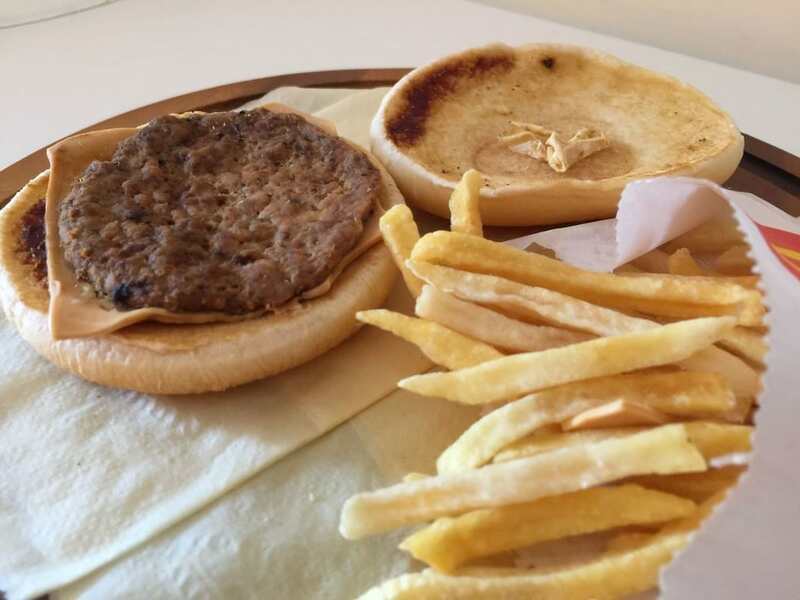 Andrew Rivera says he bought the cheeseburger and fries from a drive-thru and although it’s almost impossible to verify Andrew’s claims he displays the burger and fries in a glass case in his office. And other than a slight shrivelling to the gherkin and a brown tinge to the ketchup, the meal seems pretty unscathed. It’s funny. We have it here at the office, and it’s a centre of attention. He also admitted it was ‘crazy’ to see it still looking the same as it did on the day he bought it. But why is Andrew doing this? He explained that he wanted to use the burger as a centre-piece to educate his clients about healthy eating and has no intention of chucking it out any time soon. It has been suggested the surprising lack of decay is caused by the absence of moisture in the jar it’s kept in. If there’s no moisture available, no rotting can occur. And when McDonald’s were confronted about the bizarre goings on, they seemed to agree. We hear ya, Lovers of Meat. ??? Our beef burgers are made using 100 per cent British and Irish beef with nothing added, aside from a pinch of salt and pepper at the cooking stage. As many food experts state, in order for food to rot it requires moisture and storage in this instance, doesn’t seem to provide this.